With its creative and innovative design, this handcrafted end table is both practical and beautiful. 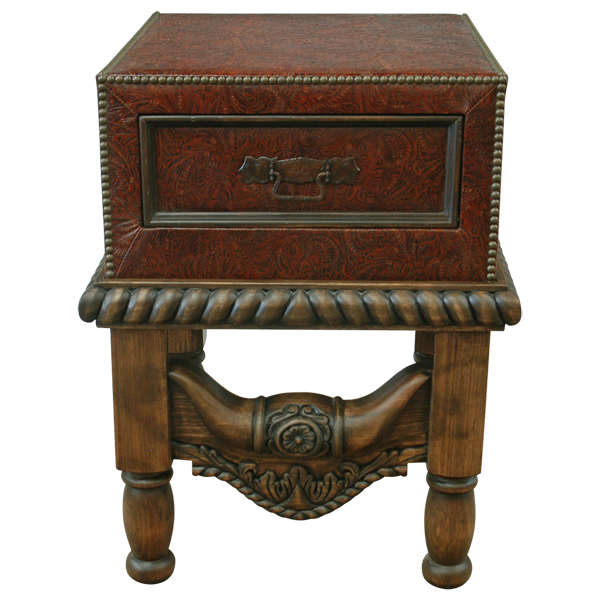 The top of the end table is covered with rich, brown, embossed, full grain leather, and the top has a convenient drawer. The leather is precision hand tacked to the wood frame with lovely, gilt nails. The top rest on a solid wood base, and the upper base is adorned with a hand carved, rope twist design. 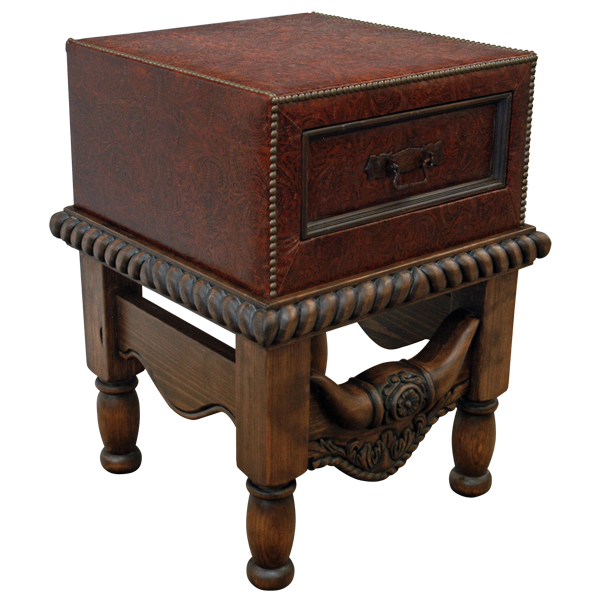 The end table is supported by hand turned, wood legs, and the legs are joined by an ornate, hand carved stretcher in front and curved crossbars on the sides. The front stretcher is embellished with ornate, hand carved, steer horns, accompanied with lovely, hand carved floral designs. It is made with the best, sustainable, solid wood available, and it is 100% customizable.